Voting makes a huge difference on campus – it affects your, and hundreds of others’, student experience. That’s why we want to make sure you know exactly what you’re doing. 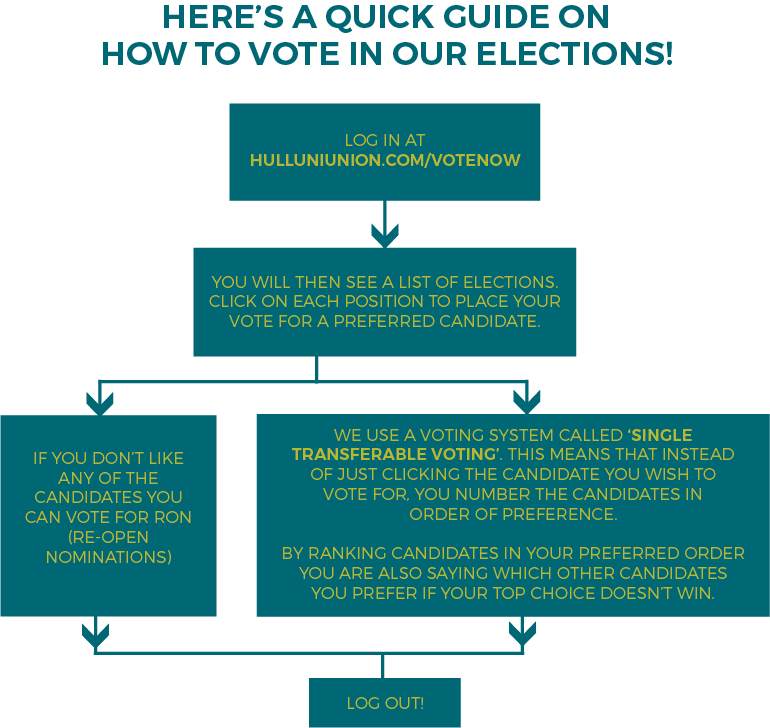 Follow our Single Transferable Voting image or watch our video to find out more. Question Time – Monday 11th March, 6.30pm, MR1, Student Central and streamed online. Watch the President team candidates as they debate and discuss the key issues they are campaigning on. This is a great way to help you decide who you’re going to vote for. Log on and have your say on who you think next year’s leaders should be. Come along to celebrate the newly elected full-time presidents and part-time officers. Results will also be shared live online.